We don't have very good numbers to answer the question of how many people ride bikes in Fairfax County. We decided this year to experiment with conducting a bicycle count based in part on techniques used by the National Bicycle and Pedestrian Documentation Project. 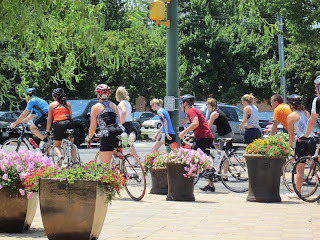 On July 7 and 9 we counted bicyclists at the intersection of the W&OD Trail and Maple Ave/Route 123 in downtown Vienna for 3 two-hour time periods. The weekday two hour data were extrapolated to a 24 hour count estimate of 1,855. VDOT's 12 hour weekday bicyclist count at the same location in 2008 was 337, which is not much more than the 5-7 pm time period count (273). Assuming that the VDOT 12 hour count was close to the 24 hour count, the 2011 count represents an increase of 550%! We have good official estimates of how many people commute by car. According to the American Community Survey data for Fairfax Co, 454,099 drove a car, truck, or van out of a total of 542,126 trips. According to ACS, only 1,166 commute by bike. The problem with that number is that it only includes those who ride a bike every day for their entire trip. Many more people ride some days or combine a car or transit trip with a bike trip. People also use bikes for many other purposed than going to work. Fairfax doesn't have a bike counting program. Arlington County has been counting bicyclists for several years. They installed their first automated, 24 hour counters in 2009 on the Custis Trail and the Four Mile Run Trail. They use a combination of in-ground loop detectors and infrared beam to collect data on trail usage, both pedestrians and cyclists (ok, the occasional deer might get counted as a pedestrian also). There is a huge amount of data being collected by these counters, and it will become most useful once several years worth can be compared. See the link above for a good discussion of the data that has been collected. Arlington also uses volunteer counts to supplement the automated counter data as part of Arlington's contribution to the National Bicycle and Pedestrian Documentation Project (NBPD). Last September volunteers counted weekday bike/ped traffic for a two two-hour time periods, 7-9 am and 4-6 pm. Pedestrians and other trails users are also counted. That effort is lead by David Patton, Arlington County's Bicycle and Pedestrian Planner. 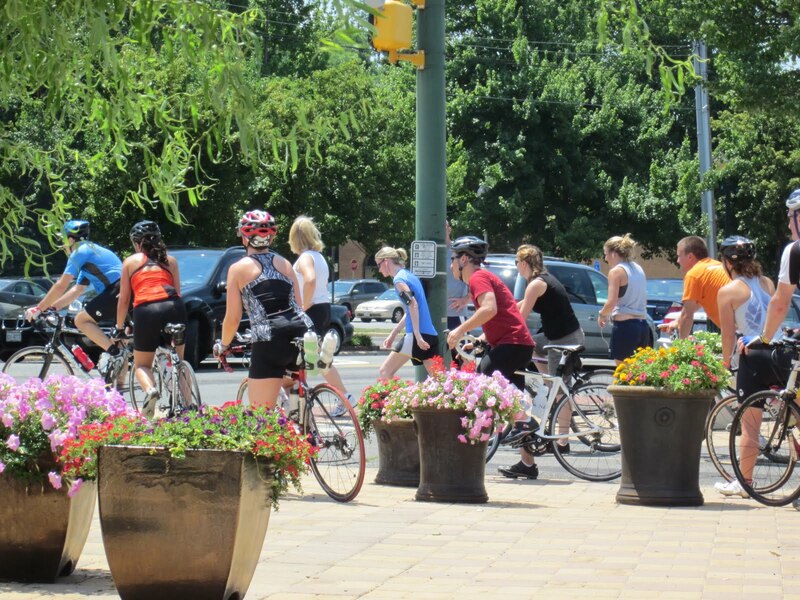 This year the Alexandria Bicycle and Pedestrian Advisory Committee began participating in the Documentation project by conducting several volunteer counts in the city. Andrea Hamre is leading that effort which included two volunteer training sessions. They will also conduct counts in September. Ideally Fairfax County will implement a bike counting program in the future. VDOT currently conducts a few counts and we hope those will expand. We may expand to several volunteer count locations in the future, possibly by September. I think we need to get some of these!